The Society of Women Engineers (SWE), Central Florida Section has partnered with the Florida Engineering Foundation to create a University Scholarship Fund. For information about SWE -Click here-. 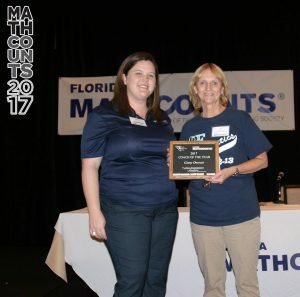 MATHCOUNTS — The MATHCOUNTS program in Florida is administered by the Florida Engineering Society. The Florida Engineering Foundation accepts tax deductible donations that help to fund the MATHCOUNTS competitions at both the state and local levels. In addition the Florida Engineering Foundation provides over $13,000 annually in direct funding for MATHCOUNTS activities and awards. For more information on the FES MATHCOUNTS program -Click here-. For information on the National MATHCOUNTS program -Click here-.